Consensus #1 Pound-for-Pound Fighter in the World and World Boxing Council (WBC) Super Flyweight Champion ROMAN “CHOCOLATITO” GONZALEZ, (46-0-0, 38 KO’s), fighting out of Managua, Nicaragua, will defend his title against Mandatory Challenger SRISAKET SOR RUNGVISAI (41-4-1, (38 KO’s) of Si Sa Ket, Thailand, on Saturday, March 18, 2017, at “The Mecca of Boxing”, Madison Square Garden. “I’m very excited to fight again at Madison Square Garden. Thanks to Mr. Honda and the Teiken family along with K2 Promotions and the HBO Pay-Per-View Team for this tremendous opportunity, “said Gonzalez. This past September 10, the 29-year-old Gonzalez faced the biggest challenge of his career, facing undefeated WBC Super Flyweight Champion Carlos Cuadras as he sought his fourth divisional world title. 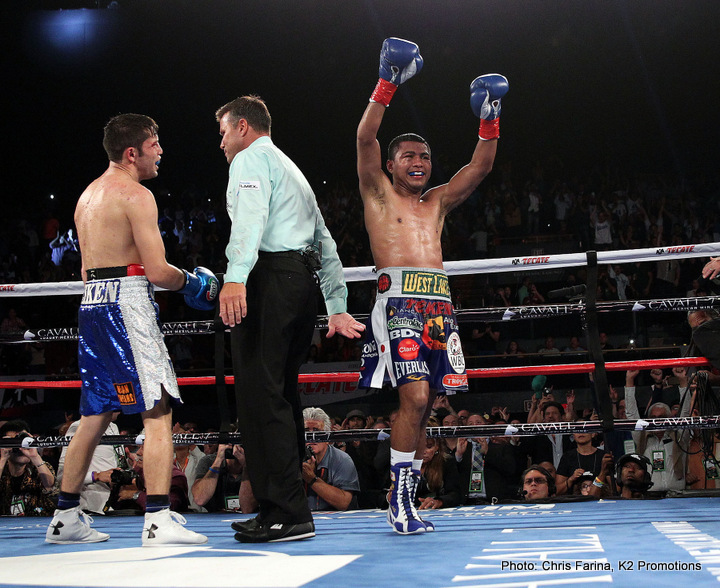 In a 2016 ‘Fight of the Year’ candidate in front of a very large and passionate crowd at the iconic venue, The Fabulous Forum in Los Angeles, Gonzalez won a 12-round unanimous decision. The victory, dedicated to Gonzalez’s mentor, boxing legend Alexis Arguello, distinguished Gonzalez as the first fighter from Nicaragua to earn four divisional world titles and further validated his status as the sport’s Consensus #1 Pound-for-Pound Fighter. On October 17, 2015, Gonzalez made his debut at “The World’s Most Famous Arena” knocking out four-division world champion Brian Viloria in the ninth round in front of a sold-out Madison Square Garden and live on HBO Pay-Per-View. The victory took place on the undercard to the World Middleweight Championship between Gennady “GGG” Golovkin and David Lemieux. The 30-year-old heavy-handed Rungvisai will be fighting for the first time in the United States against Gonzalez. A four-time world title challenger, Rungvisai challenged then WBC Super Flyweight Champion Carlos Cuadras on May 31, 2014. In an action-packed battle featuring excellent two-way action, Rungvisai was the unfortunate victim of a shortened bout as Cuadras was deemed unable to continue after the eighth round following an accidental clash of heads between the two warriors. Going to the scorecards, Rungvisai came up just short with Cuadras retaining his title.